I think some people would really find these art dolls fascinating. I personally find most of them totally terrifying. These sinister creatures are bound to leave you feeling completely uncomfortable. I would always be watching my back, making sure they didn't come to life. Take a look at Chris and Res Creations on Etsy. 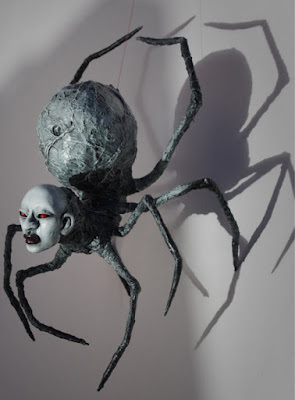 Can you imagine this just hanging out somewhere in someone's house? This Areop-Enap art doll would make me scream so much. On the computer screen it's actually quite pretty and mysterious, but I just know in real life I would lose it! 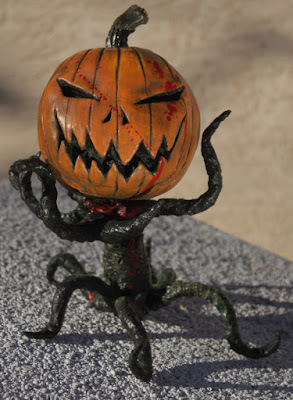 This Jack O' Lantern art doll is substantially more tame than above. It reminds me of something you would see from The Nightmare Before Christmas. 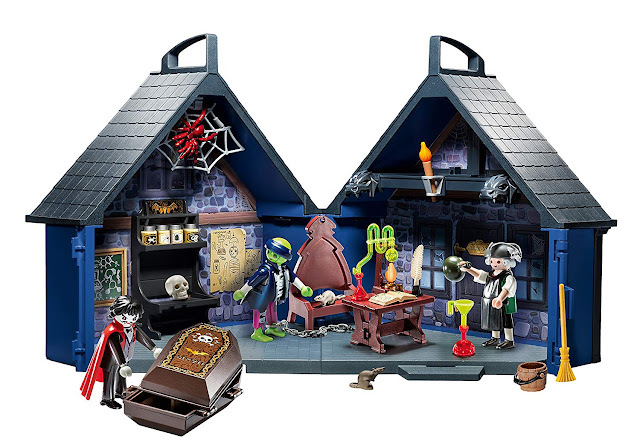 I wouldn't mind having this out during Halloween or all year around. Are you afraid of the big wide ocean? No? 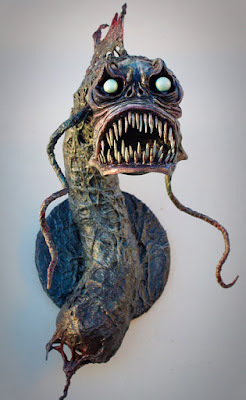 Well, maybe this Sea Monster art doll will change that! The thought of running into one of these while swimming in the summertime gives me chills down my spine. This is a one of a kind art doll! I remember the first time watching Hellraiser and finding it totally hilarious. This Engineer art doll is actually quite spooky. Originally I would think this guy would be something you would find in the sewers. His decomposing hands are a mix of impressive and absolutely disgusting! 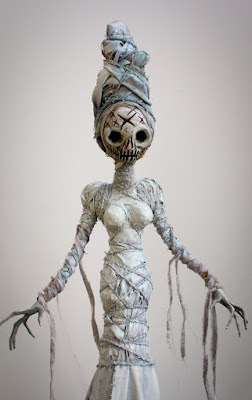 This White Voodoo Witch art doll is so scary. I'm glad there's no human size doll of her, because that would be frightening. I imagine her just gliding over the floor super fast with barely any movement. I can just see her chasing people through houses waiting to consume their soul! That thought is making me look over my shoulder. 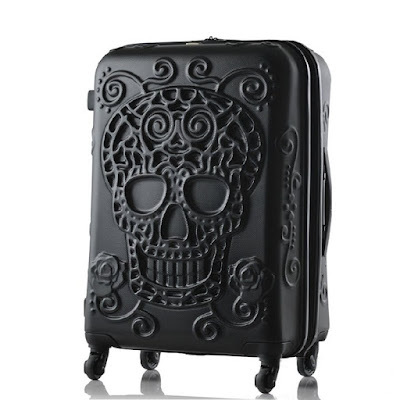 Ever wonder what you would take back with you after venturing off into hell? 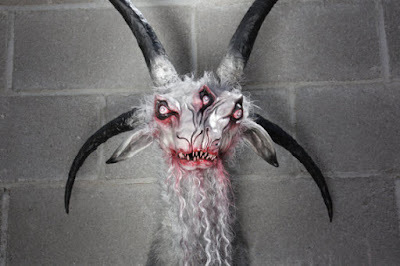 This mounted Two Headed Goat art doll seems like a prize you would mount on your wall. Or this passes as a demonic relic, maybe it's possessed? I don't have the guts to hang this on my wall for fear it's cursed or something along those lines. 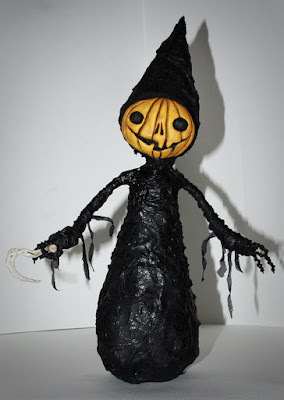 Is it just me or is this Little Pumpkin Witch art doll disturbingly cute? I know she's out to slaughter anyone who crosses her path, but I'm starting to feel like I'm okay with it. I like how they used a bone to create her hook as a weapon. 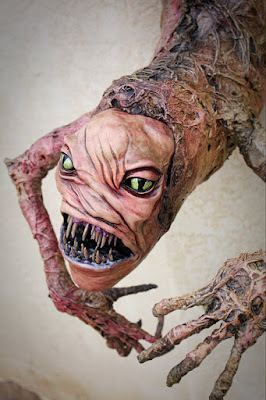 I urge you guys to at least peek at this really unsettling Etsy store Chris and Res Creations. If you're looking for unique ways to decorate or maybe you are really into this stuff! Comment below and tell me what you think of these art dolls. Freaky right?